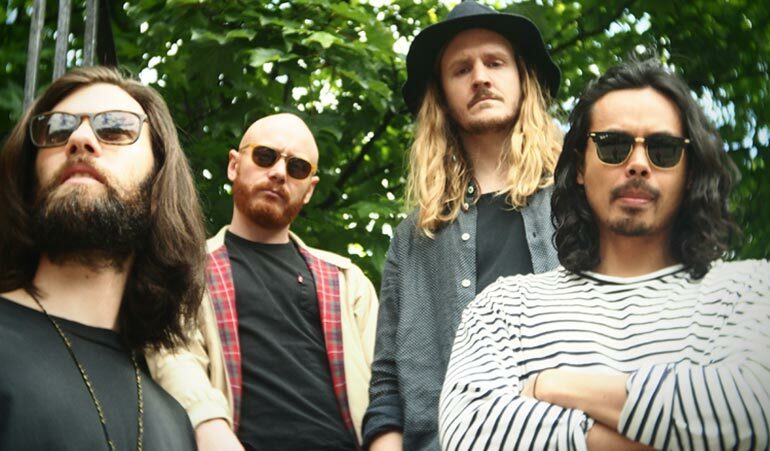 I went to see The Temper Trap just to hear them play “Sweet Disposition” live. The running melody, angelic vocals, and uplifting lyrics get me every time; I just love that song. But as soon as they took the stage, I knew I was in for a treat and I wouldn’t have to wait until their encore (they would inevitably be saving their most well-known song for last) before thoroughly enjoying myself. Right from the beginning the band and the crowd both had great energy — nobody was too rowdy or too complacent, and the Commodore was filled with the smell of smoke by the third song. I was also pleasantly surprised by the age range of the crowd. I ended up sitting with a nice couple who were in their 60s. Their latest single “Fall Together,” was instantly catchy and the title track off Thick as Thieves that opened the show was heavier with a persistent baseline, but equally rousing. The band has a good mix of slow, pensive songs and heavier rock numbers that allows for a dynamic concert experience. Leading man Dougy Mandagi has an impressive vocal range that allows for this variety in their music. The band pulled out maracas, a tambourine, and extra drums to add to different songs, and there were instrumental interludes that kept hold of our attention and imagination where some bands may have lost us. Mandagi threw his drum sticks up in the air, and the band left the stage to the din of the adoring crowd. They soon returned to play a few more songs for us, and end the night with “Sweet Disposition” that had us all singing in unison: “A moment a love/a dream aloud/a kiss a cry/our rights/our wrongs/a moment, a love/a dream aloud/a moment, a love/a dream, aloud.” Complete bliss.